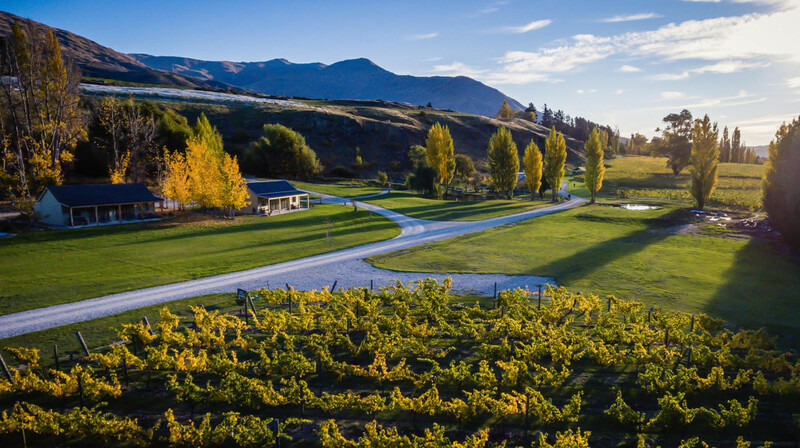 A blissful retreat outside of Queenstown, Kinross Cottages is situated in the heart of Gibbston Valley surrounded by stunning vineyard & mountain views. 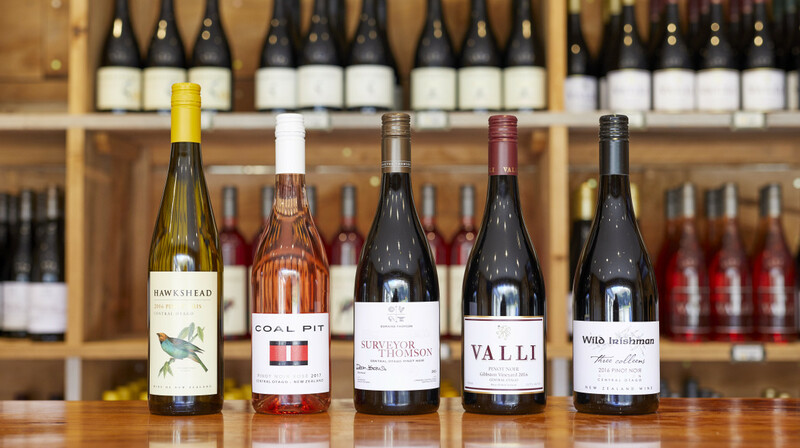 Kinross is the official Cellar Door for 5 boutique wine partners: Coal Pit, Domaine Thomson, Hawkshead, Valli & Wild Irishman, as well as having 6 rotating craft beers on tap from New Zealand craft breweries. 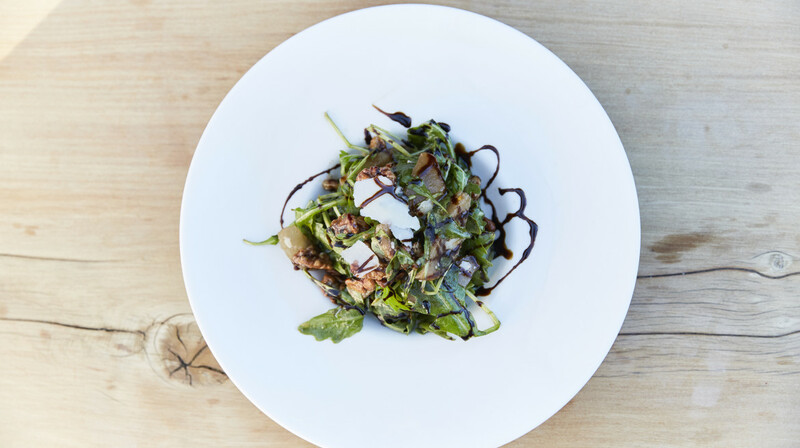 The menu is designed with fresh, high quality & seasonal ingredients to compliment the beautiful wines we have available. 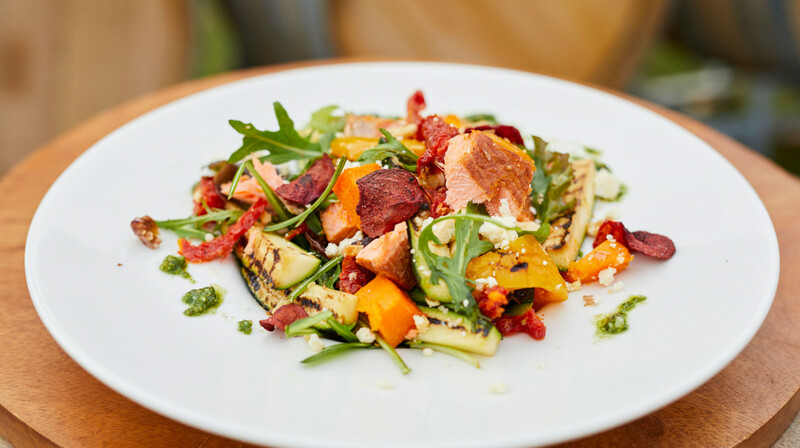 Share a delicious Antipasti platter with a tasting of 5 premium Otago wines, or indulge in a 3-course meal, there is something for every appetite. 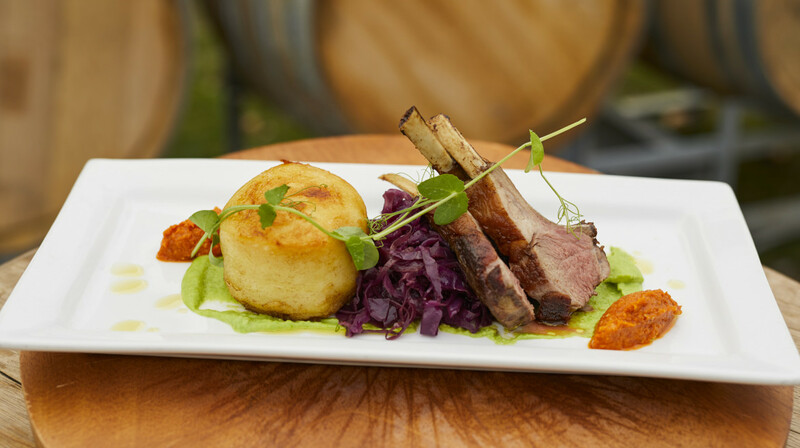 With indoor & outdoor dining available, relax in the home of Pinot Noir country for an unforgettable dining experience. What a delightful experience dining at Kinross Lodge last night. Friendly efficient service, and great food and wine. A fantastic Firt Table, one of the best. 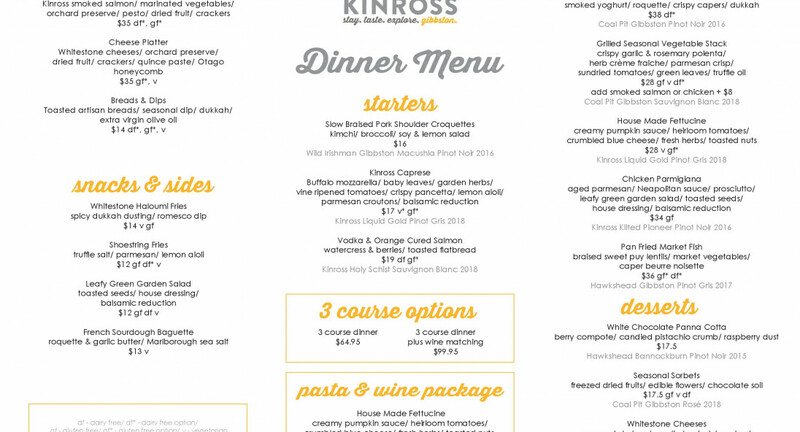 Had a wonderful dining experience at Kinross, we would definitely go again! 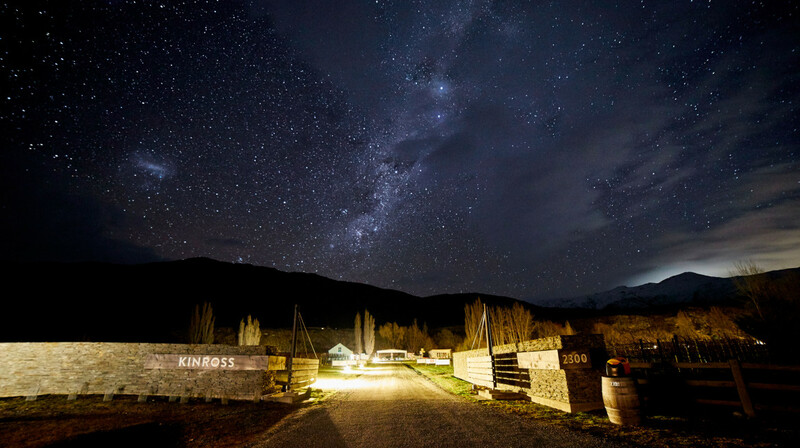 Kinross Bistro is in a beautiful quite relaxed spot in Gibbston Valley away from busy Queenstown. We thoroughly enjoyed our early evening dinner seated outside. All the meals were delicious, we started with the haloumi fries which were the best I’d ever eaten and the breads with dip, oil & scrummy dukkah. For our main dishes we had the lamb which was perfectly cooked and tender, the yummy chicken parmigiana with salad and the vegetable stack was also very tasty. We loved the wine too! The waitress was fantastic & friendly. I would highly recommend Kinross for lunch or dinner! Looking forward to going back soon. Thank you! Great location and setting. We were lucky enough to have perfect weather for our evening. Food was excellent and especially recommend the Antipasti platter. All food was great though and had a really nice selection of wine that was much cheaper than in Queenstown restaurants. Lovely staff, fantastic service and great food. Will be back. THE LAMB AND COUSCOUS MEAL WAS GREAT AS THE MEAT WAS VERY TENDER SHOESTRING FRIES WITH TRUFFLE OIL AND PARMESAN AMAZING. Really enjoyed the pleasant setting of this restaurant. The food and wine was first class. Starters and main meals were perfectly cooked and presented. Don't usually have a dessert but couldn't resist on this occasion. Wasn't disappointed with that either. All round an excellent meal. We had a lovely evening at Kinross. It has a very relaxed atmosphere in a beautiful setting. We all enjoyed our meals with the matching wine and the panna cotta for dessert was especially good. The waitress was very knowledgeable, attentive and friendly. Good food and great atmosphere! Beautiful location. Probably my best 1st table experience! We arrived, and they set up a wine tasting for us on the fly with Adele, who was very informative and put her heart into explaining the wines to us. Adele was new as well, so we were very impressed! Paula served us our AMAZING meal, and was very lovely! We ordered the antipasti platter, the chicken and lamb dishes, the caprese salad and Halomi fries... it was a lot of food, but everything was excellent! We felt incredibly relaxed in the romantic outdoor dining atmosphere and very content with our experience! 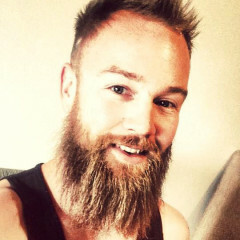 Do yourself a favour and go to Kinross! A great location, food was delicious (the halloumi fries are amazing!) The staff were very attentive. We had a marvelous evening. Kinross is a really cool place. We loved it there, nice rural outlook in winemaking area. Food was amazing!! We had 3 courses and everything delicious and perfect! Wines very good too. Highly recommend going here for dinner. Most enjoyable and relaxing. Atmosphere was great, the food was even greater. Couldn’t recommend enough!! Great wine and food. The staff were amazing. We will be back. We had a wonderful evening at Kinross. We did some wine tasting and enjoyed a brilliant dinner!! The food was stunning and the staff were very helpful, knowledgeable and friendly. We enjoyed every second of our evening and will definitely be returning! Wine is good too!! Lovely food, service and atmosphere. Very knowledgeable staff who know their product very well! Will be back very soon! Loved the little cozy atmosphere they had with the fire going. We enjoyed the starters and side dishes more than we did for the mains but the overall food was delicious!! I will definitely be back!! Fantastic experience! Great food and extra friendly service. Thank you Kinross. Great food and atmosphere would definitely come back here again! Well thought through menu. Food was tasty and attractively presented. Friendly efficient staff and a cost, rustic environment. The breads &butter pudding was SO delicious. Complimented by a choice of local wines - not cheap but very good. This was a wonderful dinning experience. We came here for my wife's birthday and wanted a kids friendly place. According to my 5 year old daughter they served the best pizza ever - and she knows a thing or two about pizza! The staff were welcoming and our waitress was knowledgeable about the wines and food. The food was exceptional and beautifully presented. It was hard to get my share of the lamb racks with my 8 year old son next to me devouring one after the other of these tender beauties. My wife and I enjoyed the wine tasting tray being introduced to some new wines for us in the area with some of their backstories. It was a very pleasant, relaxed evening and we will certainly be going back. A fantastic dinner. The confit salmon was really good. Both mains of lamb rack and the ham hock rigatoni were wonderfully tasty and very generous. Service was great. Great value! We had a really lovely evening. The surroundings were intimate and tasteful. Staff couldn't have been more helpful. Food was beautiful. 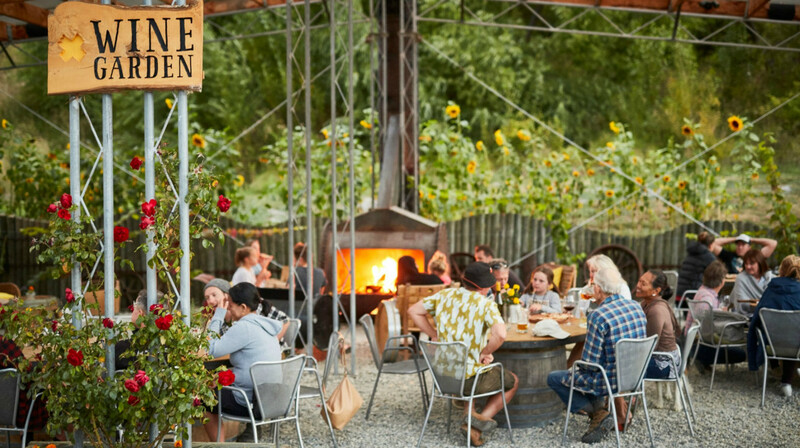 Best dining experience while staying in Gibbston valley. Great delicious food with excellent service. Beautiful wines to taste also. Excellent service, all staff very knowledgeable about wines (Kinross have an excellent selection of boutique wines from small growers ) the best was left for last the food was superb with exceptional flavours (lamb)..highly recommended! Food was great, although small portions. We were greeted by friendly staff shown to a lovely table next to the fireplace. Our kids were well catered to with an excellent kids menu. The $15 wine tasting(5 wines) was excellent wines and came with a great explanation of each by our waiter. Husband chose a craft beer. 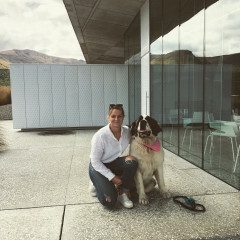 Food was excellent and the entire experience well worth driving too and better than the dining we have had in Queenstown (which isn’t at all bad by the way). Great service and food! Nice to taste wine next to the fireplace! Great food, lovely atmosphere and fantastic service. 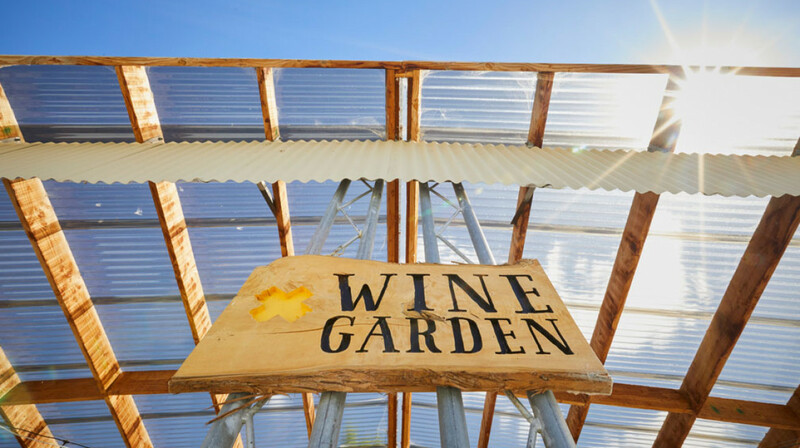 We'll definitely be back in the summer to try out the Wine Garden! Lovely place with a relaxed feel to it. Friendly and helpful service. The food was amazing! And we all did the wine tasting too which was great. Lots of good wines on offer. We will be back to sit by the fire with a pizza and a nice glass of pinot noir for sure! Super nice setting. Great food and wine. Excellent food served by attentive fun staff in a magic setting. Fantastic outdoor dining in a sunny country vineyard setting with great wine and company. This was our first "First Table" experience, and weirdly we were a little nervous we would be treated differently to other diners?! This was certainly not the case. From check-in to check-out we had excellent friendly service. The setting was totally unique rustic al fresco style. The staff lit the outdoor fire as soon as we were seated, and offered us blankets too. I opted for the wine tasting paddle, and the waiter clearly had extensive knowledge of the wines on offer. He gave me a detailed (I would even go as far as to say passionate!) run-down of what I was about to sample, and the wines didn't disappoint. Our food was served promptly, and was very tasty. It was hearty fare with a delicate twist. I loved the little deep fried (or roasted?) capers on my pizza, and we had two dishes of a pulled beef pasta which was beautiful. 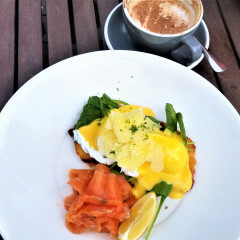 I would definitely recommend Kinross to other diners, and will be heading back to try their breakfast menu soon!.Thanks for a wonderful evening team Kinross. If you never have been bathing in grapes this is your change! The wine tasting takes you to all the wineries in the area. So be careful that your mouth will not drown in all the tasteful grapes at once! If you can’t choose which grape to bath in just give the handsome waiter with a English blend a wink he is happy and more than qualified to help you. Don’t forget to take some food while you are bathing in the grapes because it is delicious. To really get the whole experience together with your bathing friends just take a platter to share and after the lamb or just something that your mouth will feel like to combine with your favorite wine at that moment. Cheers! Kinross is so beautifull and cosy place with a really nice food. Menu is not very big but everything we have tried was delicious. Chicken and Lamb very tender and tasty and wine was very nice too. Servers were nice and friendly. The only minus was that the mains came before we even finished our starters and after that no one care about us anymore and didn't come to ask if we would like some deserts or more drinks. However we will definitely recommend this place and will be happy to dine in again. Fantastic setting. Food was more than superb. We had the fish and the lamb mains. And a Central Otago wine speaks for itself. Pizza is one of the best around.